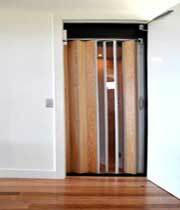 Summary: The birch veneer cab blends well with the home decor. 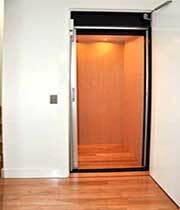 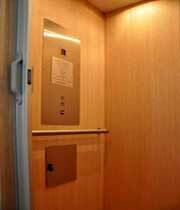 The elevator is smartly located to provide access to the kitchen, making routine trips home from the grocery store more manageable for the home owners. 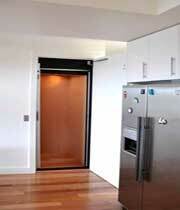 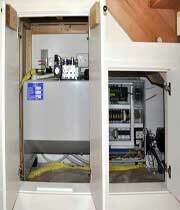 Cleverly, space under the stairs is utilized to house the control box and pump motor.